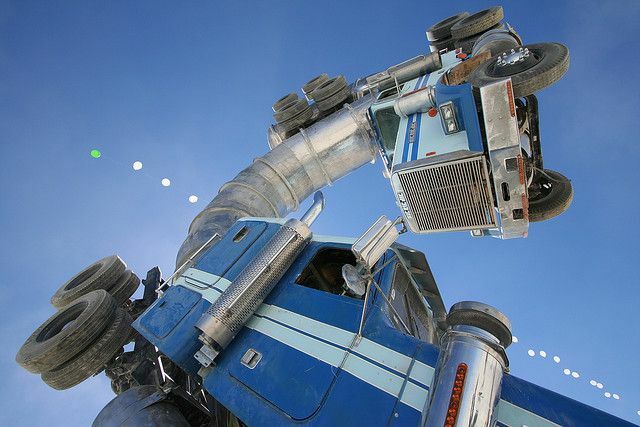 Mike Roass, an artist based in Brooklyn, used two 18 wheeler trucks and then combined them into a gigantic sculpture that was terrifying, amazing and impressive to the viewers. 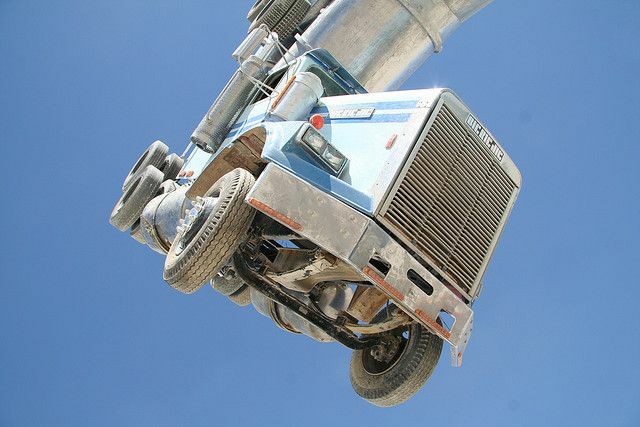 The sculpture has been named as the Big Rig Jig. 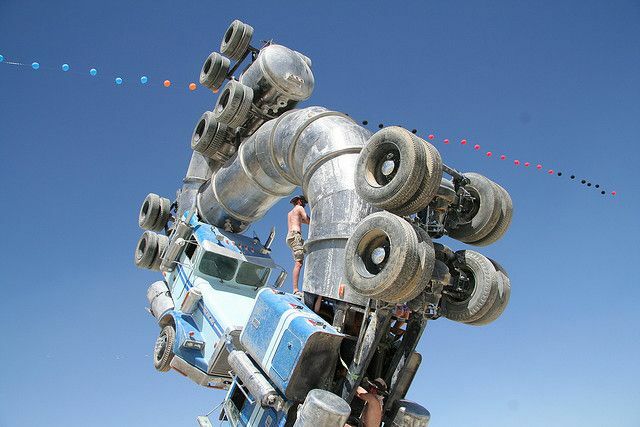 Known as the Big Rig Jig, this arched sculpture in spite of being an art sculpture serves many other objects. 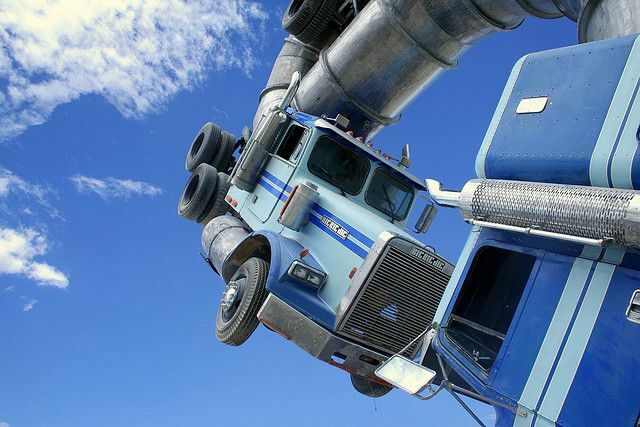 It has a concrete base and its a challenge for the enthusiaists of brave emotions to climb inside the truck cabin, which at its highest point has a height of four storey building. It is difficult to appreciate that sensation which is only possible when you do it yourself. According to Ross, way that oil is being extracted and used is quite unsustainable. This sculpture is an effort to highlight that fact. Further more, the movement of oil containers created lots of problem for the other traffic. Especially, it is the case in his neighborhood. 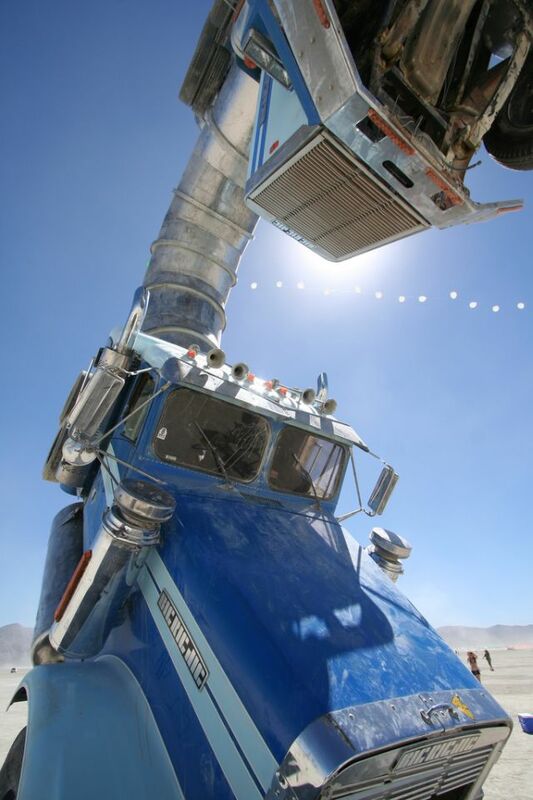 Big Rig Jig, may appear to be weird for some, but worldwide it has gained immense popularity. 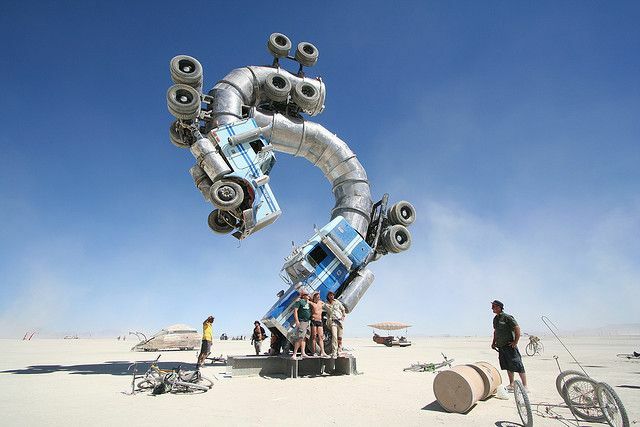 In fact, this surreal installation combines two very important attributes meaningful art and graceful architecture. 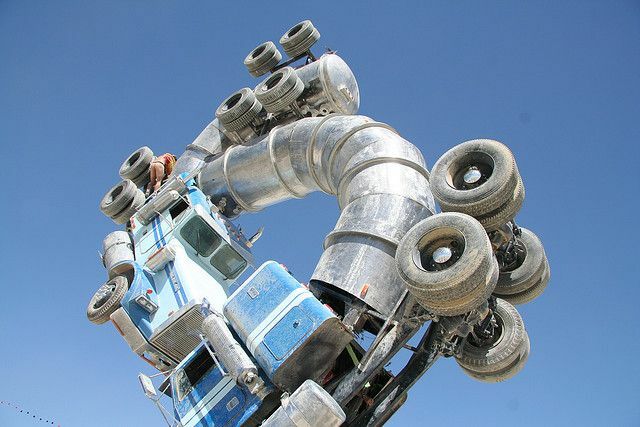 We are really impressed by this impressive sculpture that carries a very important message and we hope that more is done in this world for the sustainable exploitation and the transport of the natural resources. And you, do you think that such meaningful art can play an important role to save our planet.